This video is a recorded lecture by Dr. Marty Lobdell, a former psychology professor at Pierce College, and has almost 500,000 views. 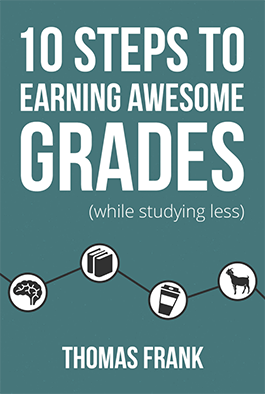 It’s one of the most well-known study advice videos that’s come out in the last few years. As a student, I often tried to watch it – but since it’s an hour long, my attention would wander. While Dr. Lobdell’s teaching style is engaging, the context of YouTube doesn’t always lend itself to videos of that length. Since I’ve seen lots of other students say the same thing about the video, I wanted to create a distilled version of it for those in a hurry. So, in this week’s video, I’ve attempted to cover 80-90% of the most useful, actionable advice from Dr. Lobdell’s lecture in just 6 minutes. You’ll also find my personal notes on the lecture linked down in the video notes section! If you want tips beyond this summary, I’ve got you covered. 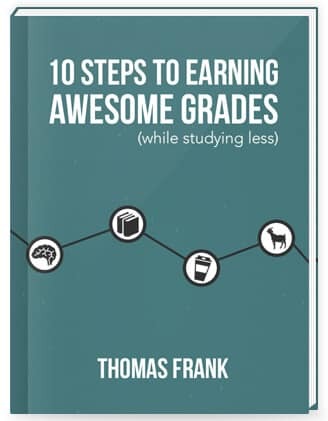 I just finished writing a 100+ page book called 10 Steps to Earning Awesome Grades (While Studying Less) and I’d like to share it with you for free. By the way, if you’re not familiar with these note-taking styles, check out my video on the 5 best method for taking notes!